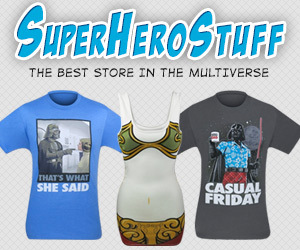 Just so all of the ladies know, one of the quickest ways to my heart is by wearing geeky clothing. 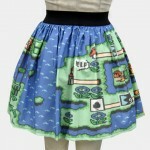 An excellent example of geeky clothing can be found in the picture below of a Super Mario Bros dress! 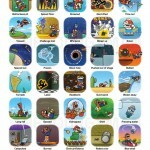 The epic Mario dress in the picture was created by DeviantART user ~Alien-Phant. 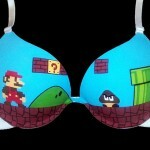 Although this one has already sold, apparently she makes gaming dresses for sale. Here is the description for this dress and you can find the picture below. 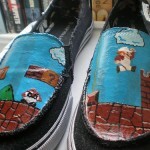 This is my Epic Mario Dress. The front zip both ways. The back laces up like a corset. It has a glittery red tutu underneath to give it more body. 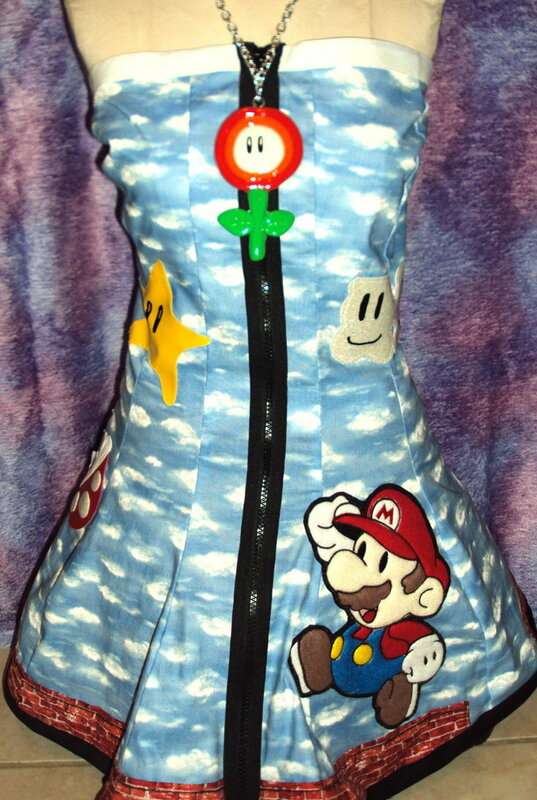 The dress features mario, a piranha plant, a power star, a question cube, a vine that leads to happy clouds. I’ve already sold this one but I plan on making more.